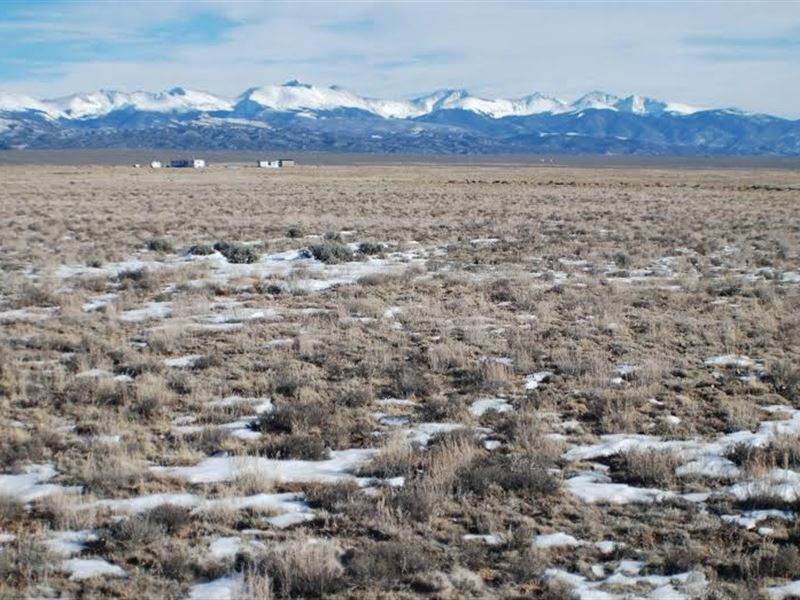 Nice Residential Lot Surrounded BY Beautiful Mountains This lot is located in a small mountain community that sits at the base of the 14,345 foot giant, Mt. Blanca, the fourth highest mountain in Colorado. The town population was 385 at the 2010 census. Blanca is located in the east of the San Luis Valley and northern Costilla County. The United States Census Bureau reports that the town has an area of 1.8 square miles 4.6 km2, all of it land. The town lies along U.S. Route 160, 20 miles 32 km east of Alamosa and 52 miles 84 km west of Walsenburg. The region has a cool, dry climate, with 107 frost-free days each year. To many American Indians, Mount Blanca is sacred ground. At 14,345 feet - the fourth-highest peak in Colorado - Mount Blanca watches over the sunny community that shares its name. The lot is located on Hamilton Road and has easy dirt road access. The nearest house is located on Jefferson Road. Nearby schools include Boyd Elementary School, Centennial High School and La Jara Elementary School. Only 8 miles to Blanca Airport. Amenities biking, hiking, camping, horseback riding. Nearby cities 104 miles to Colorado Springs, CO, 162 miles to Denver, CO, 163 miles to Aurora, CO, 174 miles to Albuquerque, NM, 334 miles to Lubbock, TX. Size 5 acres Legal Description S.L.V.R. Unit 24 BLK 16 Lot 11 Utilities Gas propane gas service is available through several companies located in nearby towns. Electricity the rural electric association has a San Luis Valley branch providing electrical power to outlying areas, and property owners may obtain their own extensions depending upon location. It is also possible to install a privately-owned generator. Sewer by private septic tanks There are no public sewer facilities. Water by Individual wells. Cellphone service is available in area. We listed All Country Department Links, Please contact them for more details. Property Appraiser's Office tel Taxes Buyer will be responsible for current year's tax and all future taxes. Tax is subject to change. Call tax office to recheck GPS Coordinates presented here are based upon the best date we have accumulated, but are not exact. The information is for the purpose of locating your property only. Prior to building a fence or any structure on your land, you should contact a Colorado licensed surveyor to mark the exact corners of your property.